A Miami attorney is seeking class action status for a lawsuit blaming Bausch & Lomb for a painful eye fungus he says permanently scarred the cornea of a woman who used its contact lens solution. The lawsuit, following on the heels of a similar suit filed in New York, alleges the company either failed to remove the fungus from the Renu with MoistureLoc eye solution or fostered its growth in the manufacturing process. 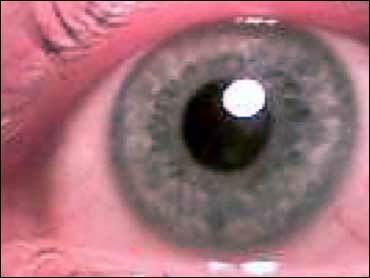 Bausch & Lomb stopped shipping the product last week after health officials linked it to 109 cases of the eye fungus. More than 50 of those cases were diagnosed in Florida, according to the federal Centers for Disease Control and Prevention. Jacqueline Wartmann, 57, was among those diagnosed with Fusarium keratitis, a fungus that causes blurred vision and can lead to blindness, according to the Miami lawsuit, filed Monday. It says Wartmann's corneal scarring has resulted in permanent blurry vision. A Bausch & Lomb spokeswoman said Wednesday that the Rochester, N.Y.-based company does not comment on pending litigation. "Obviously we're working to complete the investigation into these fungal infections as quickly as possible," spokeswoman Meg Graham said. Wartmann and the six other plaintiffs all used the Renu solution to clean their contacts, and all developed the fungus, said attorney Joel Magolnick. The lawsuit seeks $75,000 in damages for each client and class-action status. Magolnick said he had received dozens of calls from people in Utah, Georgia, Virginia and Las Vegas - all contact lens wearers who developed problems after using the Bausch & Lomb product. "As the manufacturer, they are responsible for it and they are the ones who are going to be held responsible for it," Magolnick said. The company's manufacturing plant in Greenville, S.C., which is at the center of the fungus investigation, was cited by the Food and Drug Administration four years ago. The FDA said the company failed to adequately investigate the cause of paint chips discovered during inspections in 2002 in rooms where containers of eye care products were filled. Graham said the problem was resolved. "The quality and sterility of the products made there was never in question," she said. The warning did not cite problems with Renu with MoistureLoc, which wasn't manufactured until 2004.